Cloudy skies this morning followed by scattered showers and thunderstorms during the afternoon. Storms may contain strong gusty winds. High 84F. Winds WSW at 15 to 25 mph. Chance of rain 40%..
Mostly clear. Low around 60F. Winds NW at 10 to 15 mph. 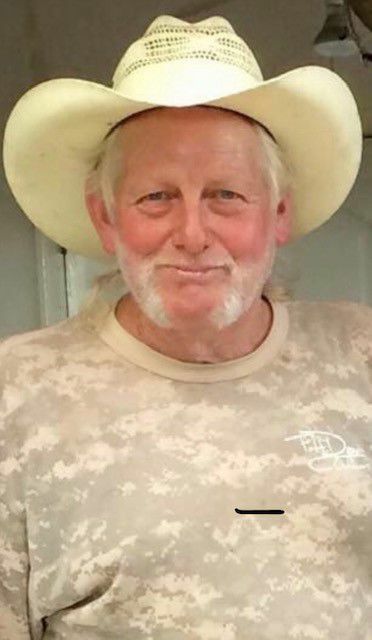 Ronald David “Cowboy” Prescott, 62, of Lorida, Florida and owner of Cowboy Concrete went home to be with the Lord on Thursday, Jan. 31, 2019. He was born on April 21, 1956 in Sebring, Florida to parents Mae Marion (Hill) and David Franklin Prescott. Cowboy was a “work hard, play hard” kinda guy who was dedicated to his job. He enjoyed mudding, motorcycles, and working on his property. He was blessed with a green thumb and always had an abundance of everything growing in his yard. He is survived by his loving daughters Tina Marie Prescott Wall and Donna Prescott Smith; five grandchildren; loving mother, Marion Spires; stepmother, Pat Prescott; three brothers on his mother's side, Jackie Prescott, Randy Prescott and Billy Spires; as well as four brothers on his father's side, Bobby, Kenny, David Jr. and Timmy. He loved and was loved by too many friends and family to mention and was very close with his niece, Sara Marie Prescott. A graveside service to celebrate Cowboy's life will be held at 11 a.m. Friday, Feb. 8 at the Oak Hill Cemetery in Lake Placid with Pastor Jack White officiating. Words of comfort to the family can be made by visiting www.scottfuneralservices.com. Arrangements entrusted to the Scott Funeral Home, 504 W. Interlake Blvd., Lake Placid, Florida. 863-465-4134.